The video shows all the baddies going on a mission and having soem enjoyable time. The footage shows an overall storyline of the upcoming DC Comics film. It is present below. Watch it and don’t forget to share your experience, views and thoughts via commenting below. 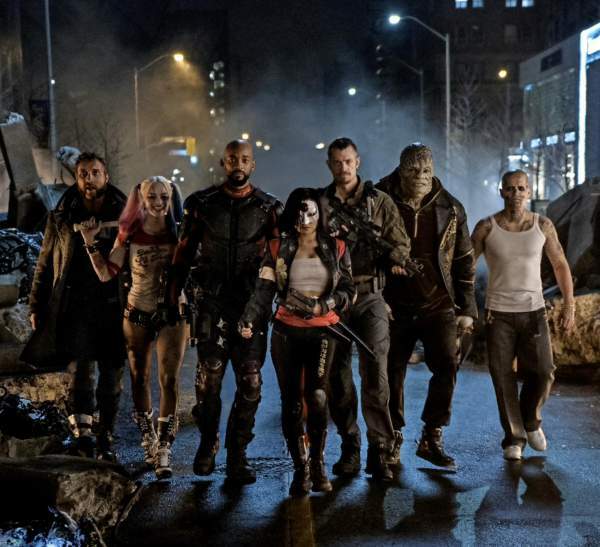 The movie stars Will Smith as Deadshot, Joel Kinnaman as Rick Flagg, Margot Robbie as Harley Quinn, Jai Courtney as Captain Boomerang, Cara Delevingne as Enchantress, Karen Fukuhara as Katana, Adewale Akinnuoye-Agbaje as Killer Croc, Jay Hernandez as El DIablo, Adam Beach as Slipknot, Viola Davis as Amanda Waller, and Jared Leto as The Joker. Check: Wolverine in X-Men: Apocalypse? However, there is still mystery on the respective roles of Ike Barinholtz, Scott Eastwood, Raymond Olubowale, Alex Meraz, Jim Parrack, and Common. The trailer also gave a glimpse of Batman and his batmobile. Earlier some reports emerged that the film had some re-shoots of some of the scenes to make them better. Robert Kanigher and Ross Andru created the squad for the very first time in 1959. Since then, the team has witnessed countless DC villains among its ranks, including Deadshot, Captain Boomerang, Bane, Killer Frost, Poison Ivy, Count Vertigo, Deathstroke, and Harley Quinn. Arrow has been of their own kind in the recent TV series and animated movie, Batman: Assault on Arkham, offered another version of the team. Directed by David Ayer, Suicide Squad is scheduled for release on August 5, 2016. Stay tuned to The Reporter Times for latest movie news and updates.